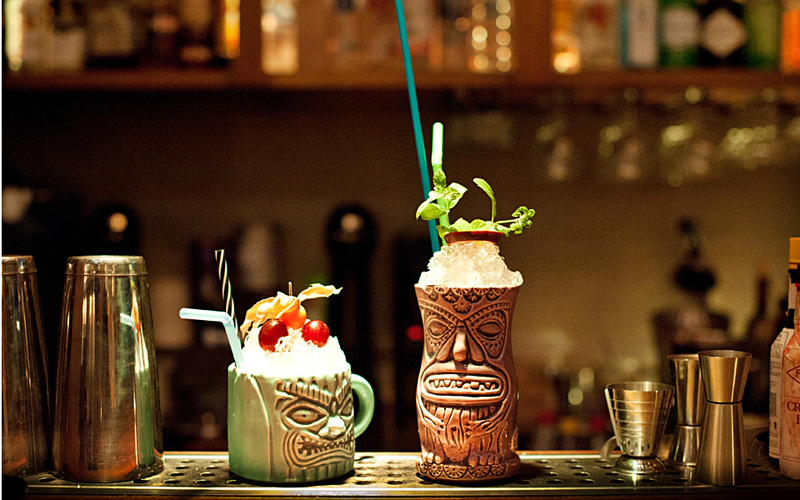 The elegant Hitchcocktales serves a wide variety of Hitchcock-inspired cocktails. 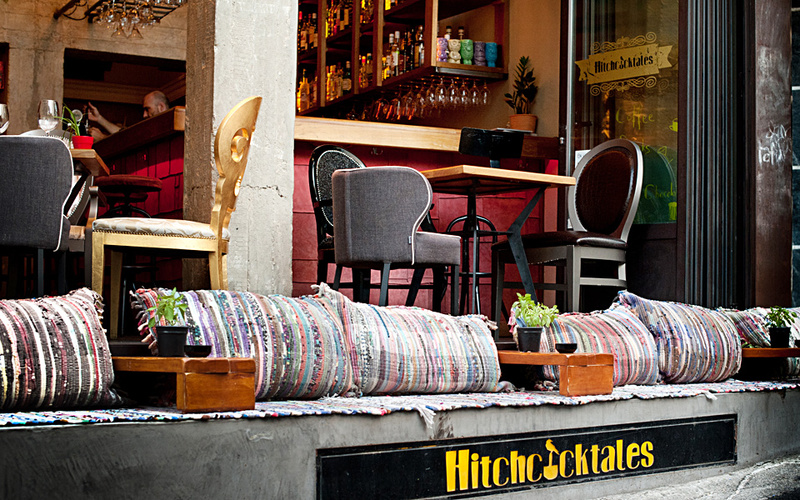 This tiny Athenian street hides many surprises. 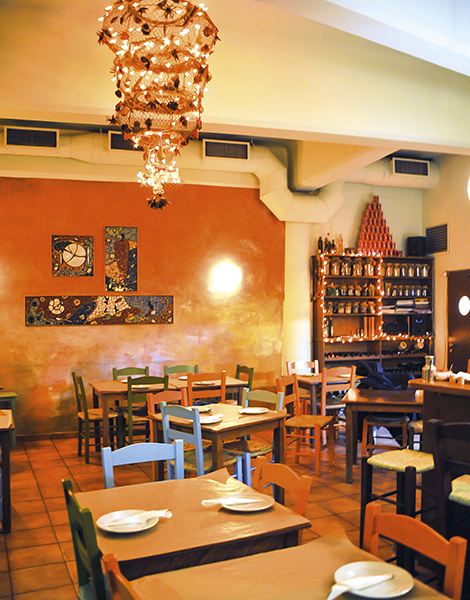 Although just a side street near the Acropolis Museum and Acropolis metro station, Porinou street has evolved over the past few years into a tucked-away hot spot, wedged between Syngrou avenue and Makrygiannis street. It was named after Porinos, a brilliant albeit obscure architect from antiquity, and locals still recall its former life as a dark alley filled with garages, auto spare part shops and lots of cats. All but the cats, seen lazing on the footpaths and open spaces, have vanished. Now the sound of music and discreet lights suggest the change that has come to this potential-filled narrow street whose width barely fits a car. The transformation of this tiny stretch, requiring just over 100 steps to cover, was achieved thanks to four places with music, serving a wide range of beverages and food. Aglio, Olio & Peperoncino serves delicious Italian dishes. 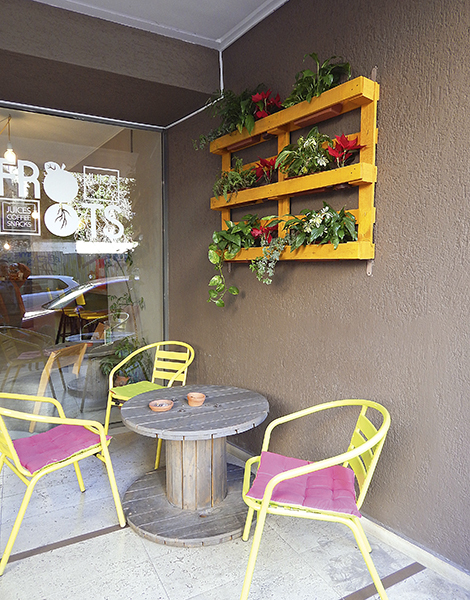 Froots serves a wide variety of fresh juices and beverages. Hitchcocktales names its cocktails after films by the master of suspense, Alfred Hitchcock, including Psycho. 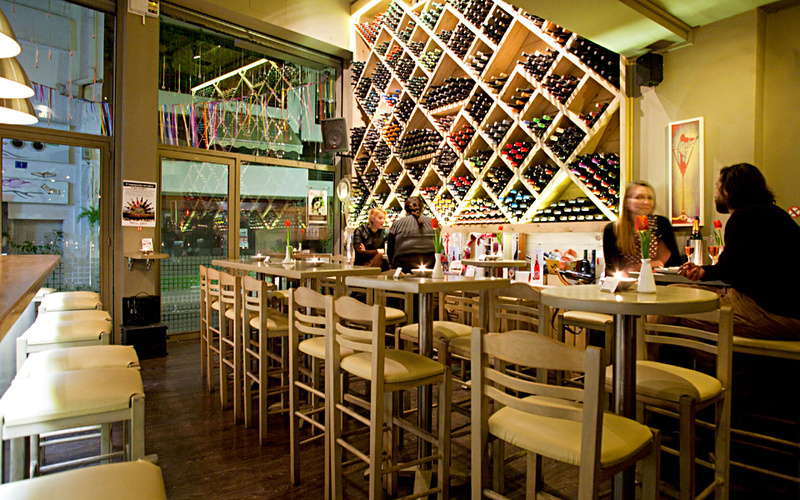 Winepoint, one of the best and oldest wine bars in Athens.